Ten workers at the crippled Fukushima nuclear power plant were exposed to radiation from contaminated mist, TEPCO says. Workers in the building were prohibited from using tap water, which comes from the same tainted source 10 km from the facility. 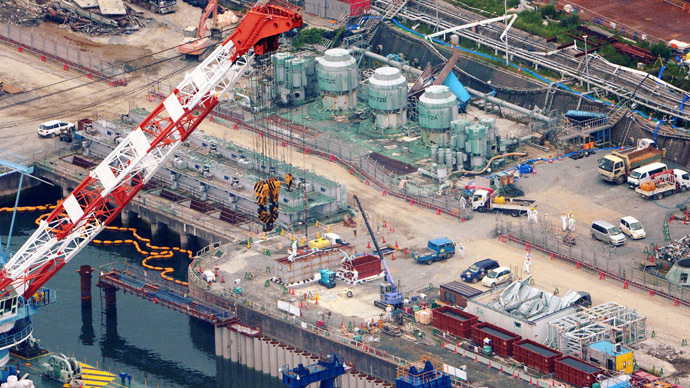 Exposure levels detected by radiation monitors worn by workers were found to be as much as 10 becquerels per square centimeter – 2.5 higher than the safe radiation exposure level – said Tokyo Electric Power Company (TEPCO), the plant’s operator responsible for decommissioning. The affected were ordered to receive full body scans, which can detect radiation exposure to internal organs. Workers at the Fukushima Daiichi plant might have come into contact with contaminated mist water from devices used to cool temperatures around the Main Anti-earthquake building while waiting for a bus, TEPCO said. The employees said that when they were near the device, the alarm indicating an increased level of radiation went off. The cooling devices were turned off and workers at the building were prohibited from using tap water, which comes from the same source. Meanwhile, earlier on Monday, an alarm indicating a high radiation dose went off at the continuous dust monitor installed in front of the main building, TEPCO said. The workers were instructed to put on full-face masks in areas where the masks were previously not required. TEPCO added that no significant change in the monitoring post data has been found, assuming that there is no impact on the outside of the power station. On Sunday the plant’s operator said that a newly built observation well near the sea contains highly toxic water. The results of the samples collected from the well show that the water contains 34,000 becquerels of radioactive tritium per liter, higher than the samples collected on Thursday, which had 23,000 becquerels. The well was built last Wednesday, about four meters away from the sea and four meters north of the water intake for the damaged No. 1 reactor. 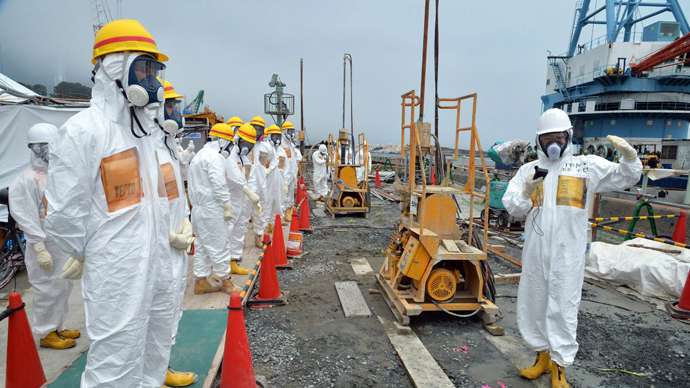 TEPCO officials assume the contamination is occurring in the underground trench connected to the No. 2 reactor building, Japan Daily Press reports. The newly constructed well is just 160 meters from the trench. Triggered by an earthquake and resulting tsunami, three of the plant’s reactors suffered a nuclear meltdown in March 2011. The plant has subsequently been accumulating radioactive water as groundwater passing through the premises becomes contaminated. Even more alarming is the fact that the protective barriers installed to prevent the flow of toxic water into the ocean have proved ineffective. Japan’s Ministry of Industry has recently estimated that about 300 tons of the contaminated groundwater has been seeping into the Pacific Ocean daily since the nuclear disaster. TEPCO has also promised it will urgently reinforce the protective shields to keep radioactive leaks at bay. Japan’s Prime Minister Shinzo Abe said last Wednesday that the situation is an “urgent issue”, while the government watchdog Nuclear Regulation Authority has called it a “state of emergency”. 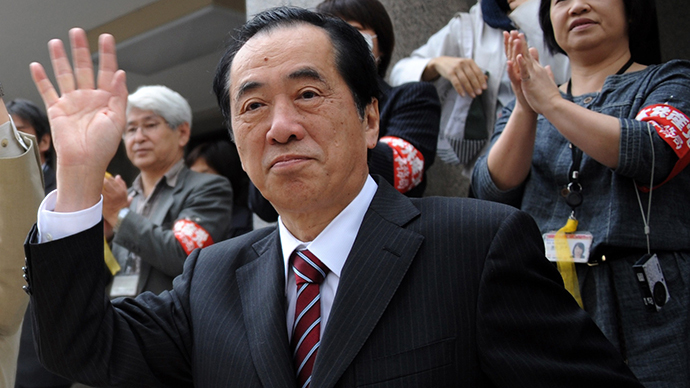 The government has stepped in to take over some of the responsibilities, arguing that TEPCO seems incapable of fixing the matter on their own. The company has repeatedly complained it is running out of space, while more than 20,000 tons of water with high levels of radioactive substances has accumulated in the plant’s drainage system.